Four months ago, Eduardo “HookGangGod” Deno had never entered a tournament in person. He had been shooting up the leaderboards in Persona 4 Arena and Guilty Gear for years while preferring to risk frame delays and shaky network connections. But Dragon Ball FighterZ got the self-described “online monster” to see if tournament play was worth it. He didn’t get there right away. At Winter Brawl 2018, he made the final 32 and was quickly eliminated from the tournament by Chris G. and Wolfkrone. But the Piccolo specialist rapidly improved, and by Texas Showdown, he was already sponsored by NRG. In Houston, he made his breakout, making the grand final through the losers bracket and ultimately finishing second. Today, he’s one of the top competitors in North America, and at every event he’s inching closer to a major trophy. What makes him so fun to watch, though, is his choice of character. 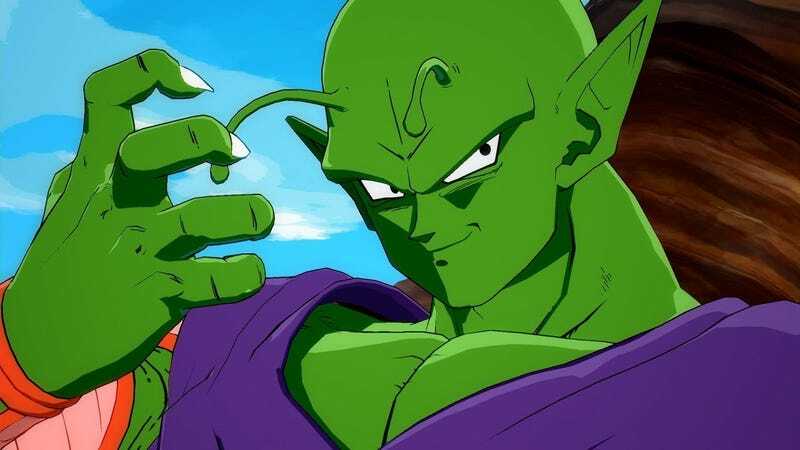 Deno is a Piccolo main; he’s crafted his team around the green Namekian, as he tells me, and his skill with the stretchy fighter is unlike anything else. Piccolo is not considered a high-tier character, even by Deno. The green guy is only found on two rosters at the top of the competitive scene, Deno’s and Vineeth “ApologyMan” Meka’s. But he’s “too much fun,” as Deno puts it, to not play. His setups and projectile pressure can be oppressive in the right hands, and his Hellzone Grenade super lets him force an opponent into guessing where the next hit might come from while blocking a barrage of ki blasts. Other fighters have quick beam attacks or a flurry of ki blasts, but Piccolo’s ki attack is a slow-moving ball. Combine this with stretchy arms that can catch opponents unaware and his devastating Demon Slicer chop that can put foes on the ground, and Piccolo can convert a strong zone game into devastating combos. It plays very well into Deno’s style of play, which relies on capitalizing on good reads and keeping the opponent guessing. He’s doled out several “happy birthdays” where you catch both the opponent’s main fighter and an assist they’ve called in for one combo, sometimes resulting in the death of the assist character. Happy birthday, you got a two-for-one! As commentators repeat in the clips over and over, Deno’s tag as “HookGangGod” became its own thing. The Hook Gang God was a force fans and players quickly became familiar with, and it was all because Deno latched onto Piccolo. Deno did briefly abandon the Namekian, but he had to come back.